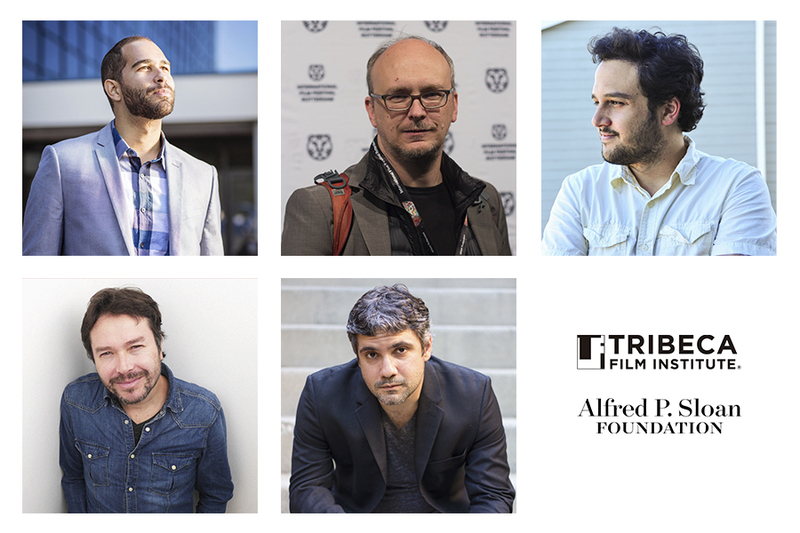 Tribeca Film Institute® (TFI) and Alfred P. Sloan Foundation have announced their annual TFI Sloan Filmmaker Fund 2019 Grantees, awarding filmmakers from Venezuela, Mexico, Colombia, Jamaica, Chile and Nepal with grants totaling $150,000 among the three projects. Past TFI Sloan Filmmaker Fund include the 2014 TFI Sloan Filmmaker Fund Grantee, turned Oscar®-winning film, The Imitation Game, starring Benedict Cumberbatch and Keira Knightley, Additional grantees include Computer Chess (2012), A Birder’s Guide to Everything (2011 The House of Tomorrow (2015), One Man Dies A Million Times (2017) and The Catcher Was A Spy (2015). Chosen from a competitive group of submissions, the film ASIA A, from filmmaker Andrew Reid, portrays a college basketball player, who after suffering a spinal cord injury, struggles between hoping for recovery and accepting his new life as a paraplegic. The short film version has won the Jury Award at the 2018 DGA Student Awards and was a Semi-Finalist for the 45th Student Academy Awards. It has screened at LA Shorts, HollyShorts and over 20 other film festivals. From Venezuelan Director/Writer Juan Avella and Producer Diego Nájera from Guadalajara, Mexico, BOLICHICOS, a film inspired by true events, tells the story of a privileged 20-year-old in Venezuela, who recruits the maid’s straight-laced son to carry out a currency exchange scam, earning them millions by exploiting the country's poorest. The TFI Sloan Filmmaker Fund grantees where selected by an esteemed jury of science and entertainment professionals, including physicist and musician Stephon Alexander; Professor of Neural Science and Psychology Wendy Suzuki; actor, director, producer Jennifer Morrison and film, television and digital content producers Laura Turner Garrison and filmmaker Warrington Hudlin. Additionally, the Alfred P. Sloan Foundation is set to host a panel discussion with cast and crew from the new “The Hot Zone” series, following its world premiere on April 30th at the Tribeca Film Festival. Sloan provided a grant to bestselling author Richard Preston to support the research and writing of the book “The Hot Zone”. The panel will include showrunners and executive producers Kelly Souders, Brian Peterson, and Lynda Obst,author Richard Preston, technical supervisor Dr. Michael Smit, epidemiologist Dr. Wan Yang and cast members Julianna Margulies and Liam Cunningham. The Hot Zone is inspired by the true story about the Ebola virus origins and its arrival on U.S. soil in 1989. When this killer suddenly appeared in monkeys in a scientific research lab in the suburbs of Washington, D.C., there was no known cure. A heroic U.S. Army scientist working with a secret military specialized team put her life on the line to head off the anticipated outbreak. In 2006 Venezuela, a privileged 20-year-old recruits the maid’s straight-laced son to carry out a currency exchange scam, earning them millions by exploiting the country's poorest - but their insatiable greed turns brother against brother. Inspired by true events. In 1971, a wealthy British cybernetician gets the opportunity of a lifetime when he is invited to create an “electronic nervous system” — the world’s first internet — in socialist Chile. Under constant threat of a coup, his team creates an idealistic technology which could transform the world. The New York based Alfred P. Sloan Foundation, founded in 1934, makes grants in science, technology, and economic performance. Sloan's program in Public Understanding of Science and Technology directed by Doron Weber, supports books, radio, film, television, theater and new media to reach a wide, non-specialized audience. Sloan's Film Program encourages filmmakers to create more realistic and compelling stories about science and technology and to challenge existing stereotypes about scientists and engineers in the popular imagination. Over the past 15 years, Sloan has partnered with some of the top film schools in the country—including AFI, Carnegie Mellon, Columbia, NYU, UCLA and USC—and established annual awards in screenwriting and film production, along with an annual best-of-the-best Student Grand Jury Prize administered by Tribeca Film Institute. The Foundation also supports screenplay development programs with the Sundance Institute, Tribeca Film Institute, SFFILM, the Black List, the Athena Film Festival, and Film Independent's Producing Lab and Fast Track program and has helped develop over 25 feature films such as To Dust, The Sound of Silence, The Catcher Was a Spy, The Imitation Game, The Man Who Knew Infinity, Operator, and Experimenter. The Foundation also has an active theater program and commissions about twenty science plays each year from the Ensemble Studio Theater and Manhattan Theatre Club as well as supporting select productions across the country. Recent grants have supported Charly Evon Simpson’s New York Times Critic’s Pick Behind the Sheet, Leigh Fondakowski’s SPILL, Nick Payne’s Incognito, Frank Basloe’s Please Continue, Deborah Zoe Laufer’s Informed Consent, Lucas Hnath's Isaac's Eye, and Anna Ziegler's Photograph 51. The Foundation’s book program includes support for Hidden Figures: The American Dream and the Untold Story of the Black Women Mathematicians Who Helped Win the Space Race, adapted into an Oscar-nominated box office hit in 2017.